This work focuses on the design and development of quadrotors that are capable of autonomous landing on a stationary platform. This problem is motivated by the fact that quadrotors have to land frequently to charge their batteries, as maximum flight time is rather short with the current state-of-art. In this work, we particularly consider three different quadrotor systems including the quadrotor constructed in our Intelligent Systems Laboratory, the ISL quadrotor. 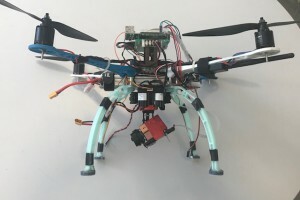 The ISL quadrotor is endowed with a camera attached to a gimbal stabilizing the view for visual sensing, a laser range sensor for measuring the altitude, PIXHAWK flight controller and a Raspberry Pi 3 (RPi3) as an onboard computer for autonomous operation. The software is designed and developed in Robot Operating System (ROS) and includes control, visual processing and serial communication with the flight controller. 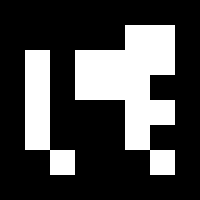 The code is designed to be multi-threaded as have the quadrotor be capable of doing visual processing concurrently with flight control. The dynamic modeling of the quadrotor is based on one of the commonly used models. For the landing task, position, altitude, and velocity controllers based on proportional and derivative (PD) control are developed. Position information is provided by visual feedback through detecting the marker on the landing platform. The developed approaches are first tested on the Gazebo simulation environment. We also conduct similar landing experiments on the ISL quadrotor for different wind, light, and initial altitude conditions and observe that the quadrotor is able to land autonomously within approximately 80 cm error range on a stationary platform that is marked by a 50cm $\times$ 50cm ArUco marker. The designed quadrotor is also capable of tracking a platform that is moving with a slow linear velocity. For more info, pls contact Mustafa Mete.